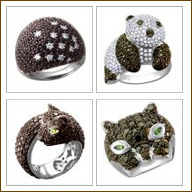 Rings are a treasured possession, cherished by all women. 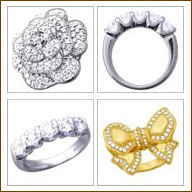 A ring is the perfect accessory which every woman loves. 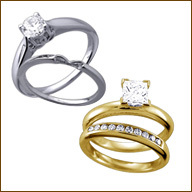 Rings are sculpted in precious metals like yellow or white gold and platinum. 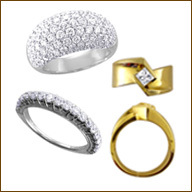 The rings are designed in such a way that they suit your style, be it a diamond or gemstone it is artistically designed for both men and women. 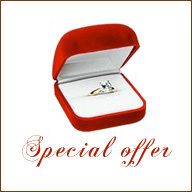 We have rings for every occasion from weddings, anniversaries, engagement to everyday rings. 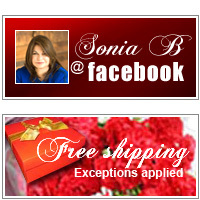 Our collection includes Wraps, Eternity Bands, Stand Alone Rings, Promise Rings, all beautifully design by Sonia B.
Earrings for a dazzling evening, Diamond Hoops & Omega Earrings make for an ideal choice. 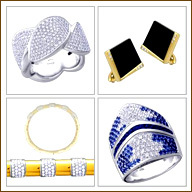 The diamonds are embellished with gold in this stylish collection. Adorn yourself with a pair of gorgeous Diamond Hoops and turn your dreams into reality. Diamond Earrings have an everlasting glory. 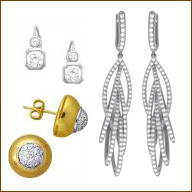 All earrings are secure with omega backs, hinges and snaps closure. 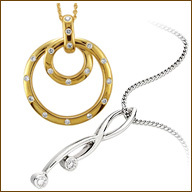 Pendants are pretty pieces of jewelry designed in gold with a lovely design and shape that adds charm to your jewelry. 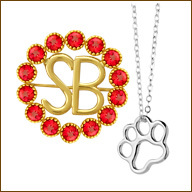 All pendants are beautifully designed to match our customer’s needs and budget. 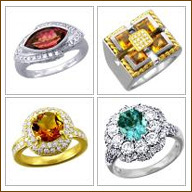 Some in rectangular, hearts, cross, disc shapes designed in white or yellow gold and shimmering diamonds and color stones. All pendants come with a gold chain. Nothing makes a man or woman more noticeable than a diamond pin. Pins are classy, elegant, timeless and a possession to be proud of. Pins are a perfect match for any occasion. 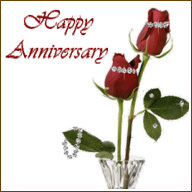 Creative ideas, man's guide to anniversary planning, what not to do, celebrating on a budget, ways to say 'I Love You', and more tips.